The first date Husband and I went on was not actually a date but rather more like a premise for a terrible Christmas movie. It was two years ago. We were roommates at the time and still referred to one another, “My roommate, Gregg–” or “Me and Boy Roommate–.” We never quite reached the “My friend, Ashleigh–” phase. The not-a-date was a couple of weeks before Christmas and took place on a Saturday. Neither of us can recall who first came up with the idea to go Christmas shopping downtown, but onwards we went, bundled up in toques and scarves and gloves. All afternoon, we wandered in and out of shops, cracking jokes in the comic book store, making rude gestures with nutcrackers in Cookworks, railing against the establishment outside department store windows, and lingering a bit too long in the bookstore. We didn’t buy a thing. We ended up at a sports bar. Why, I cannot remember, but there must have been a reason and I’m sure it was charming. A pitcher of beer, two pounds of wings, and several karaoke stories later, the outside observer would shake their heads at us. The whole world knew how we felt but us. 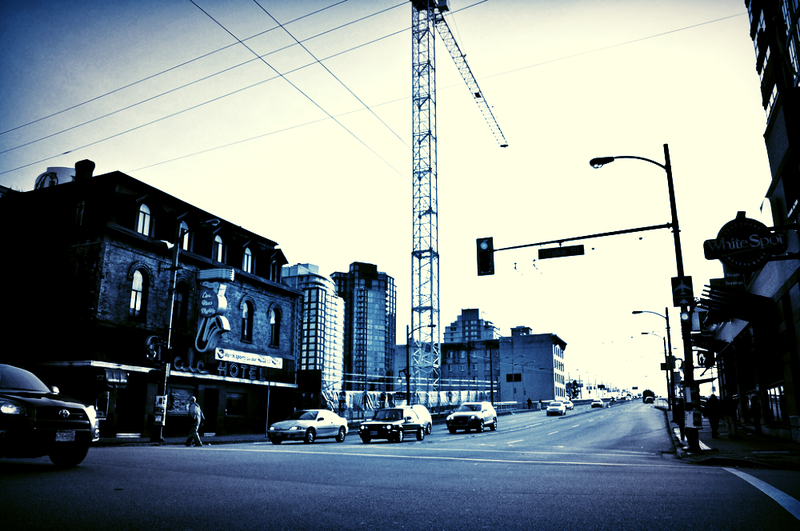 Even after a walk back over the Granville Street Bridge, with a pause mid-span to take in the view–and spit our gum into False Creek–we came home to separate bedrooms. Even though we didn’t know it at the time, that not-a-date established something fundamental in the two of us. We did not become a couple until later, but the not-a-date feels like an anniversary of sorts because that was the two of us at our most elemental and sincere. We now make a point to spend a Saturday shopping downtown each year, forgoing all other holiday panic and scrambling and festivities, just to regroup as a couple and remember our priority: having fun just enjoying each other’s company. Because that’s really what it’s all about, isn’t it? The pleasure is mine to announce – imaginary megaphone in hand – that I have a piece published in the most recent issue of Sassafras Literary Magazine. 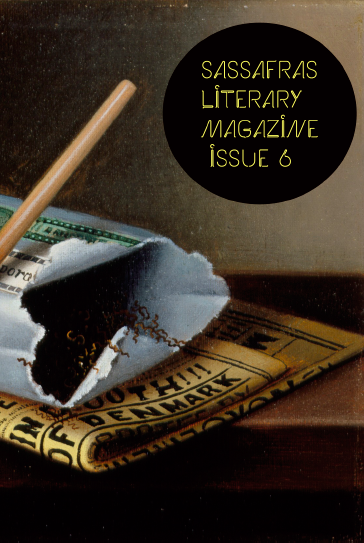 In their sixth issue, Sassafras, have gathered an excellent collection of other short works of art, poetry, fiction and non-fiction that I am proud to be in the company of. They are all far too talented to end sentences with prepositions, as I have just done. The piece is the first page of a novel that I completed a first draft on almost two years ago and have left to quietly simmer in the distance ever since. Coal Dust is narrated by a recently deceased teenager, Jamie. But it is not a fantasy. Jamie is not in heaven, is not a ghost, is not anything of the sort. He is simply dead. This is also not Jamie’s story. It is the story of Jamie’s two half-siblings, Caroline and Stuart (step-siblings to each other), and how they struggle to redefine themselves after the death of the one person who might have made them a family. Jamie as narrator began as an experiment. Is it possible to have a narrator simultaneously omniscient and first person? I think it turned out quite well, but as a writer, I have that horrible affliction where I am completely unable to be objective. Alas, I ramble. Such is my right and my shame. Please do not judge Sassafras because of my arrogance. They are awesome.